PET Recycling procured all recycling line equipment in August 2011. The same month, installation works commenced in the company-owned factory in the Sindos Industrial Area of Thessaloniki. The equipment installation was completed during the last days of October 2011. In the next month, trial operation of the recycling line was initiated, in order to implement all necessary adjustments to our equipment. The recycling line reached full operational capability in the end of January 2012. In the next month, PET Recycling received the Plastic Recycling Permit Λειτουργίαςfrom the Greek authorities. In addition, our company has a Permti for Collection and Trasnportation of Non-Hazardous Material. 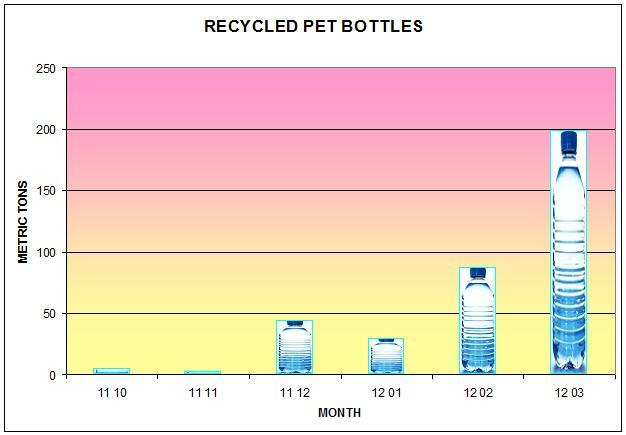 During the first two months of full operation, PET Recycling recycled more than 350 Metric Tons of PET bottles. It is expected that, gradually, the recycling line will become capable of recycling more than 600 Metric Tons of PET bottles on a monthly basis, with obvious environmental positive effects.